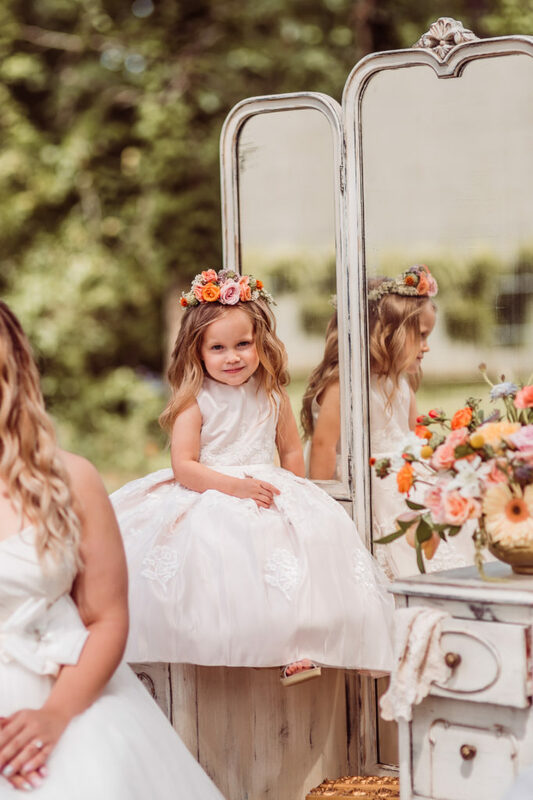 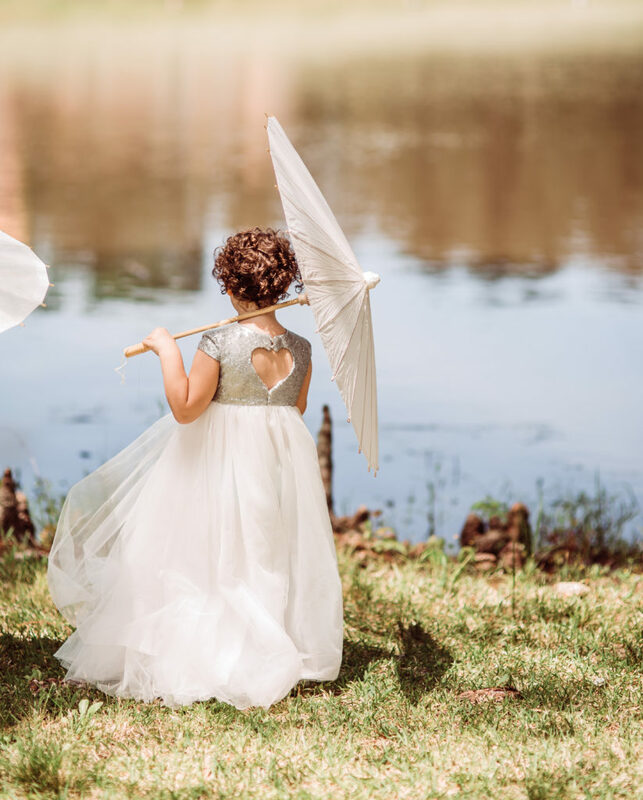 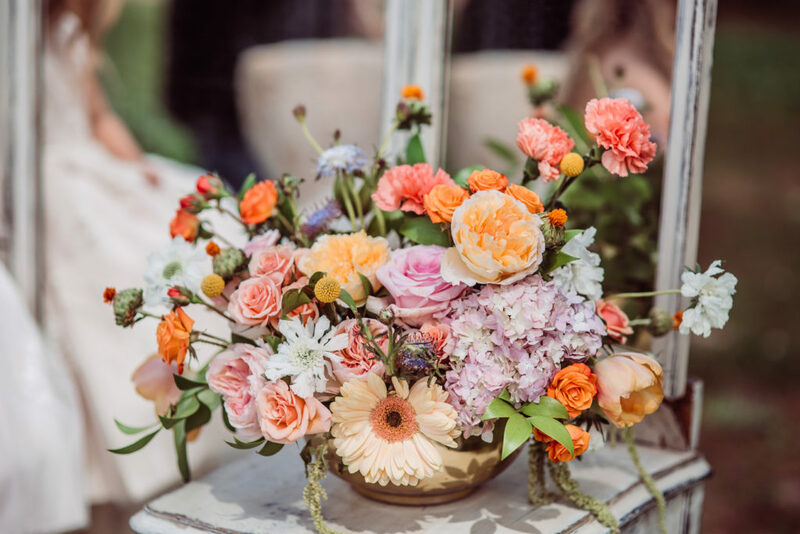 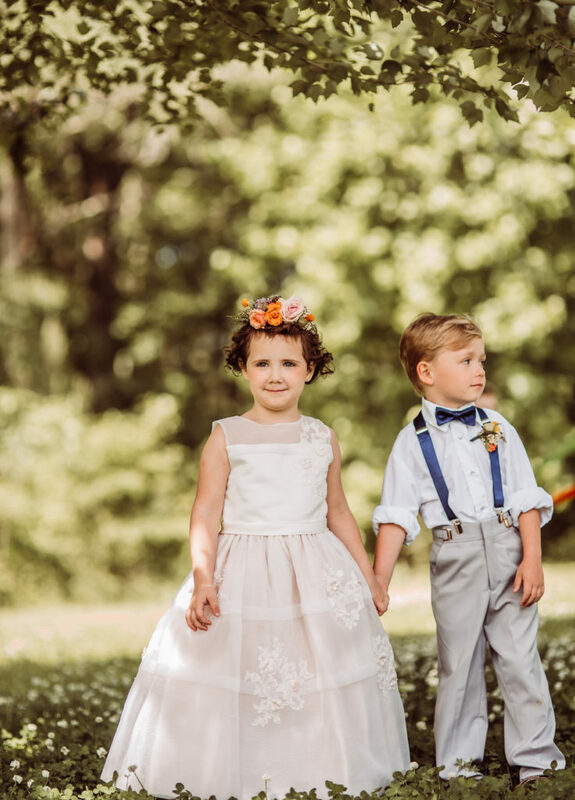 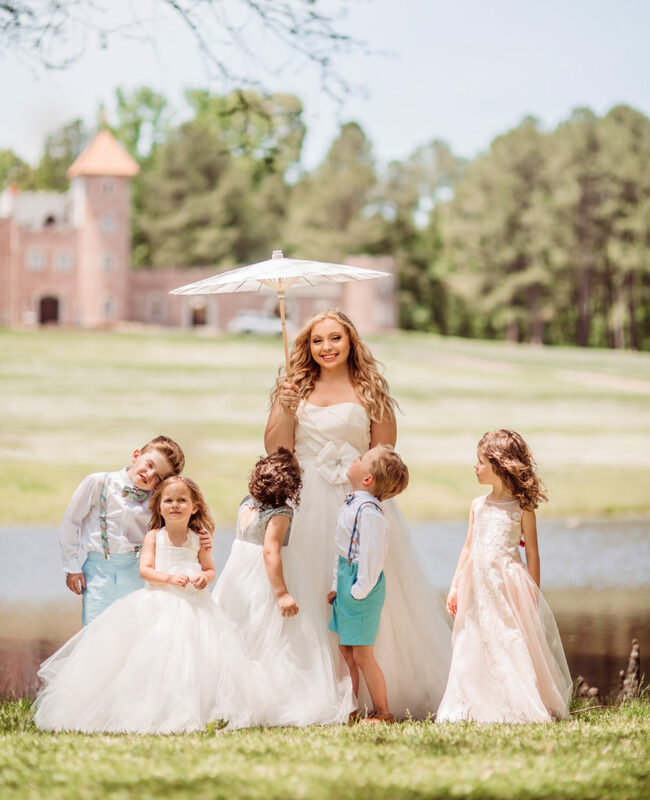 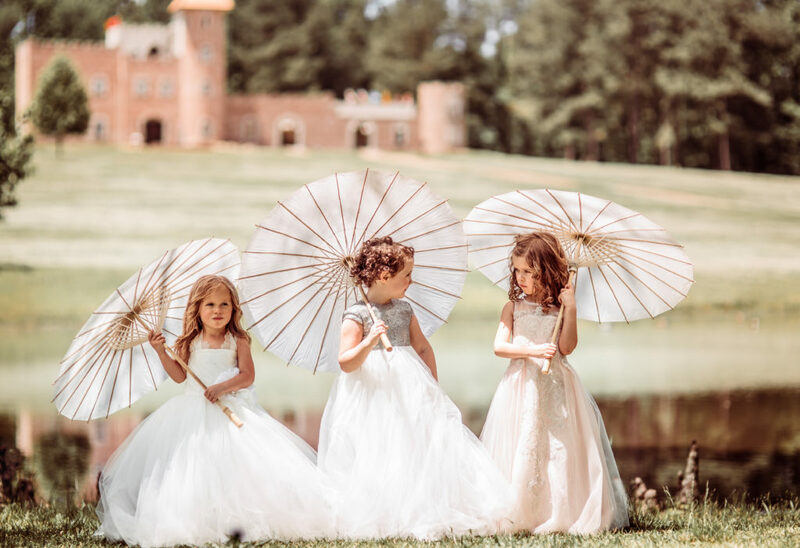 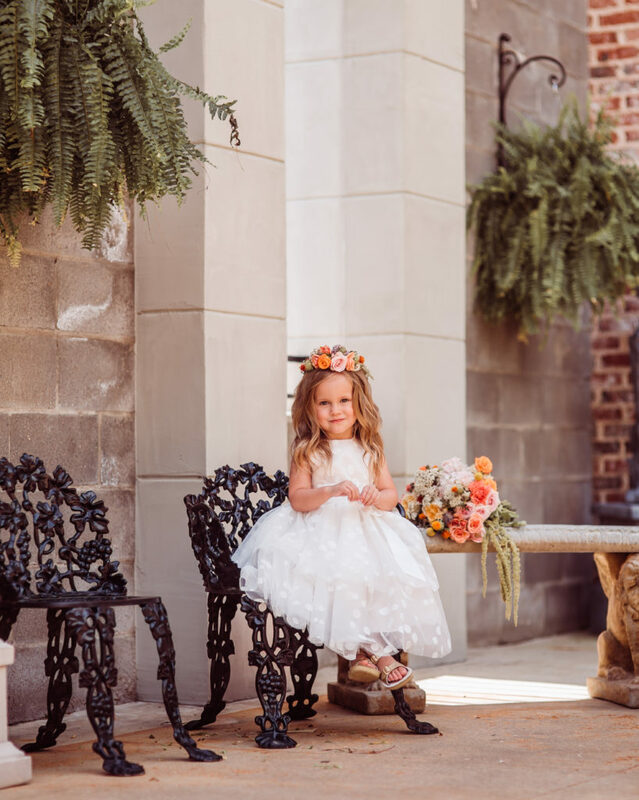 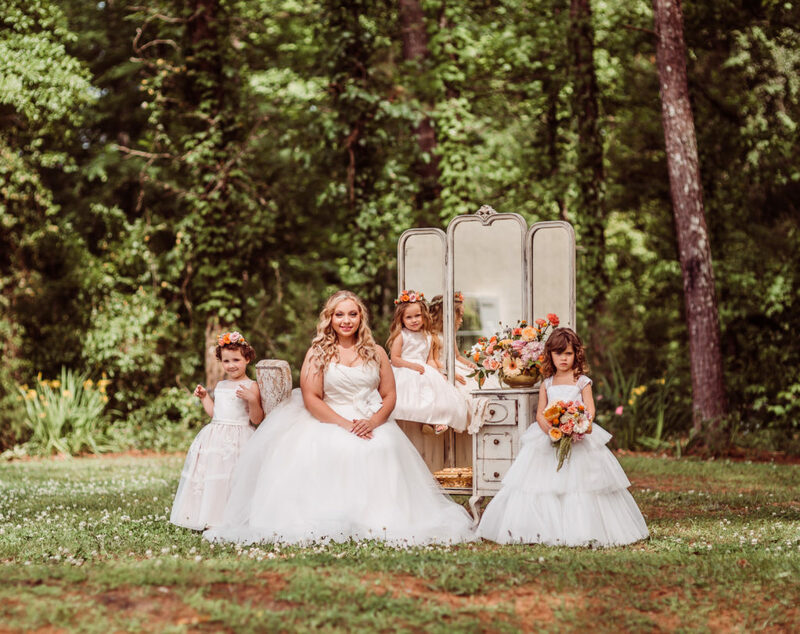 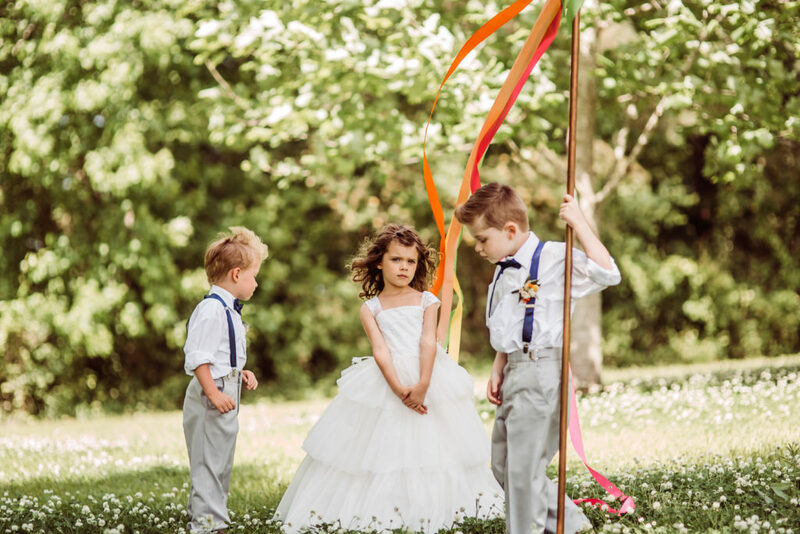 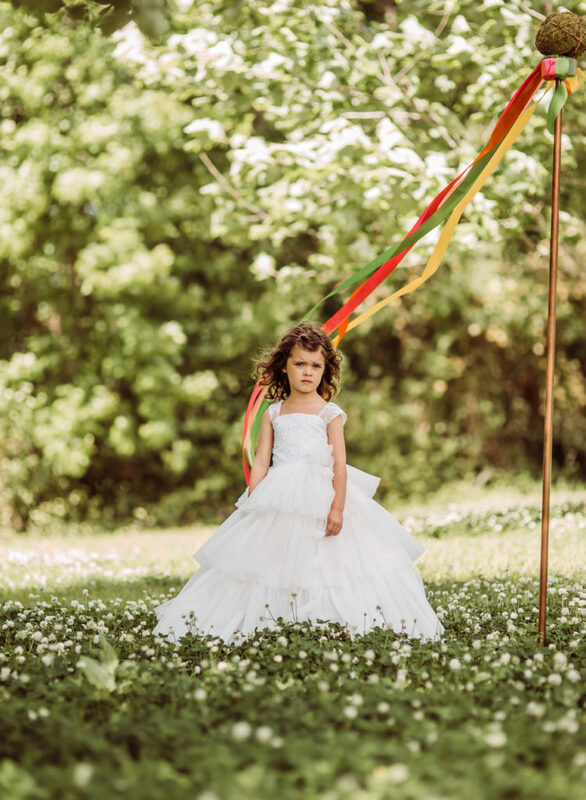 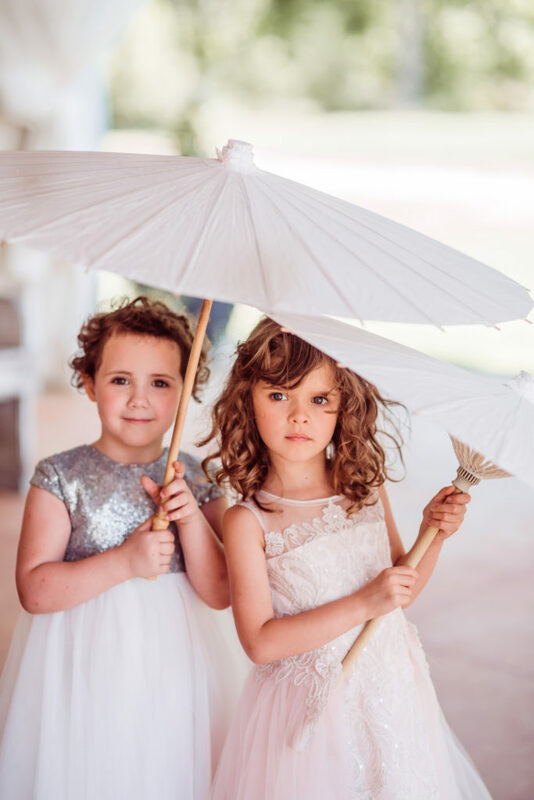 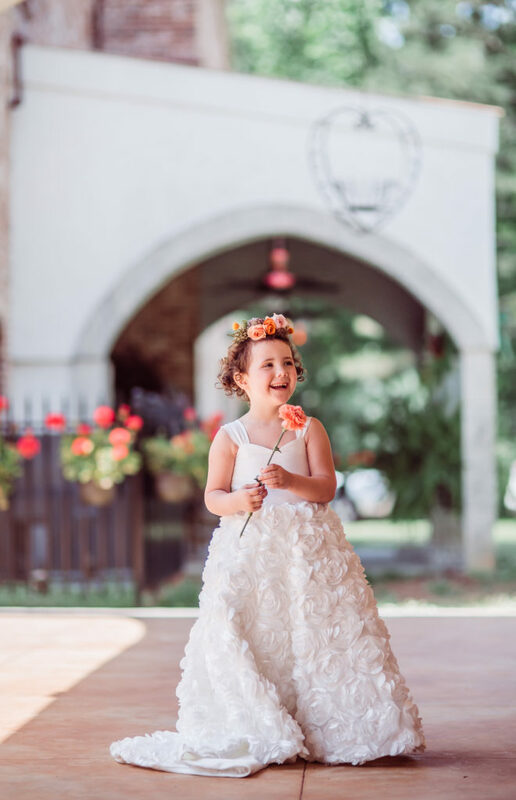 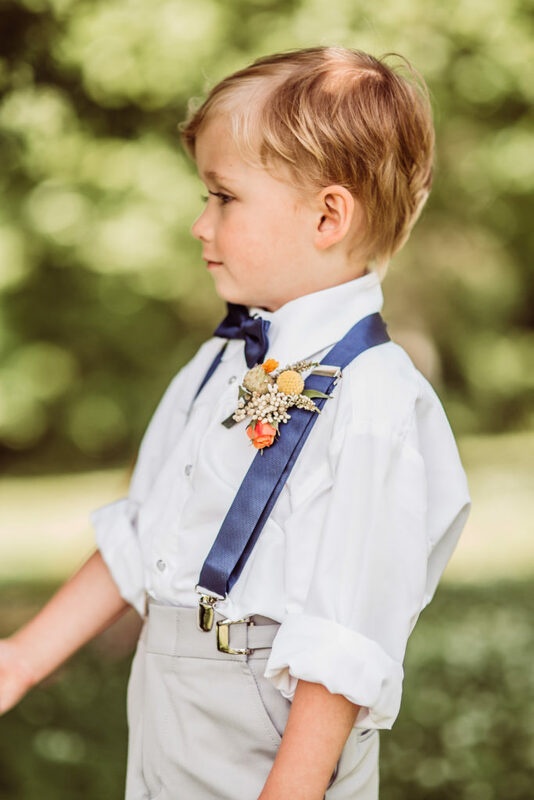 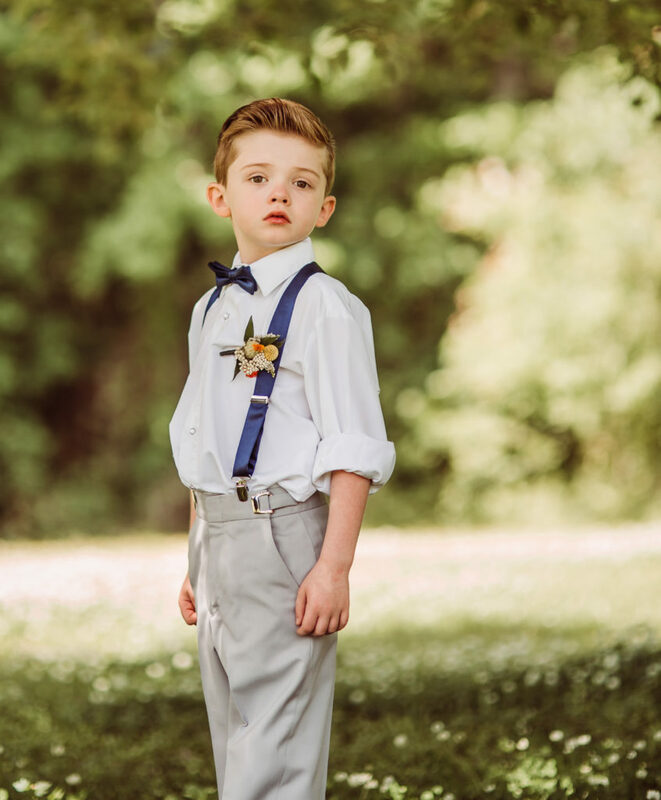 This weekend’s royal wedding of Princess Eugenie has us dreaming of castles and fairy tale gowns, so it only made sense to post our take on a royal affair, a styled shoot featuring the littlest princes and princesses at any wedding – ring bearers and flower girls. 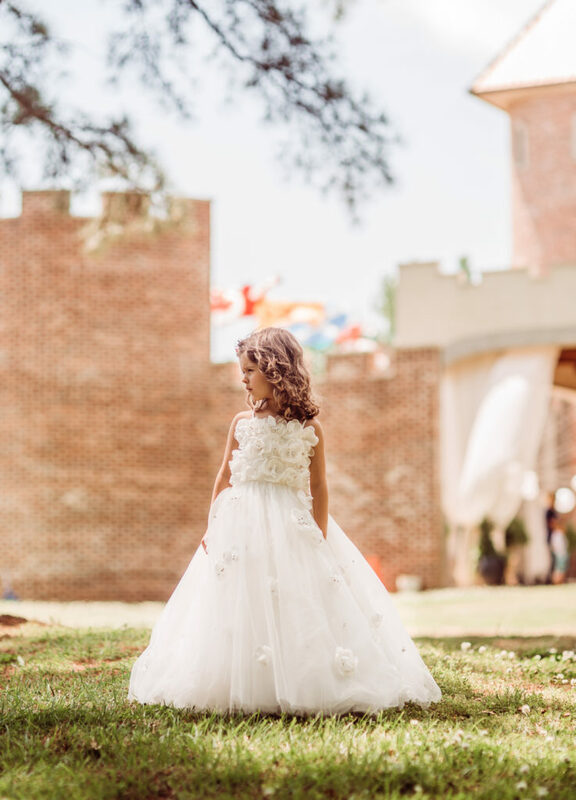 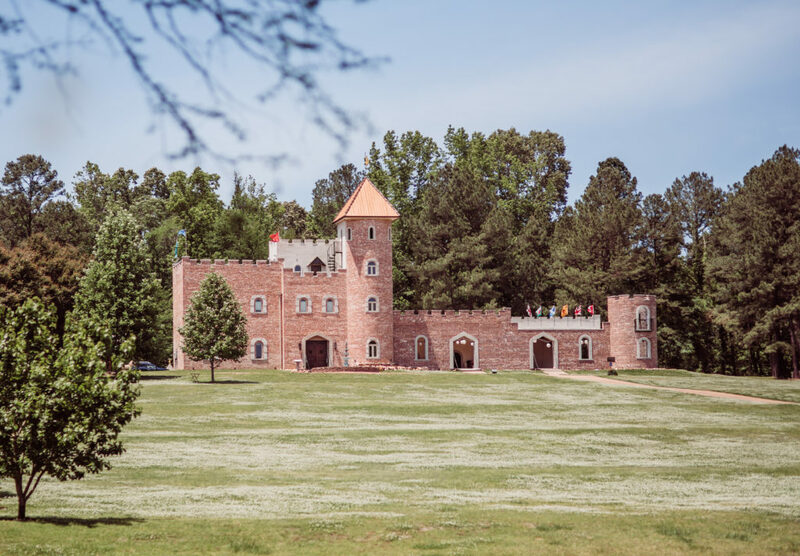 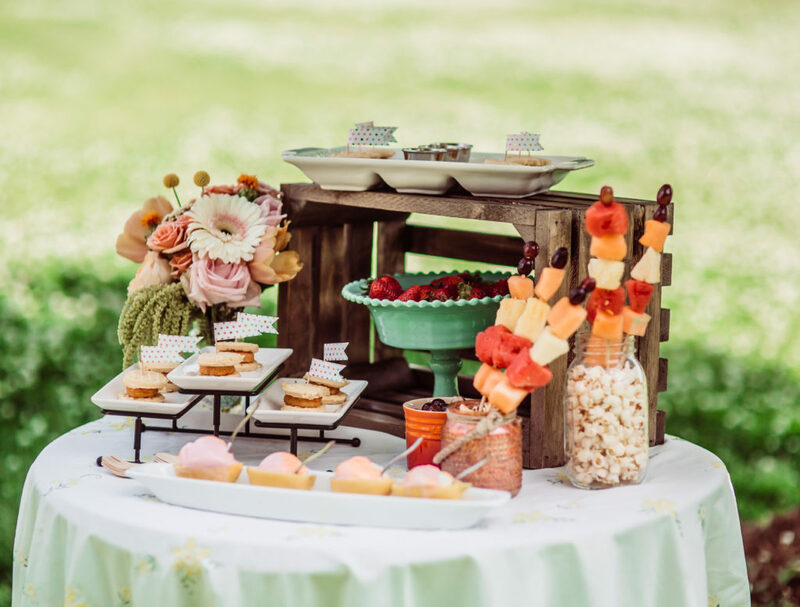 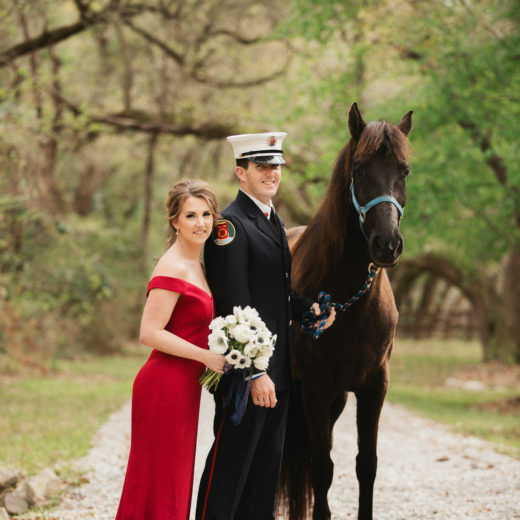 Set at the beautiful Pierce Castle in Decatur, MS, this fairy tale inspired design showcases wedding attire and reception snacks to appeal to even the youngest wedding guests. 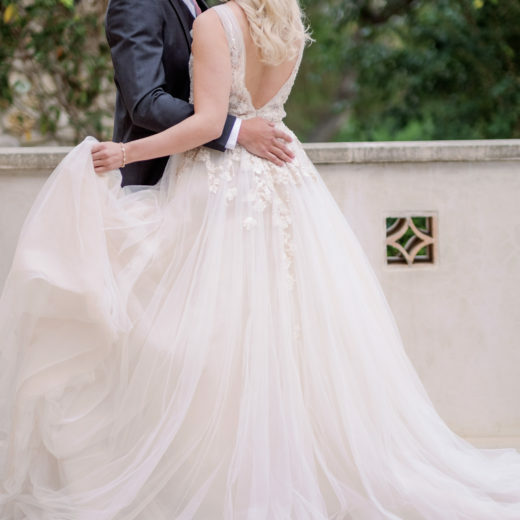 That heart though! 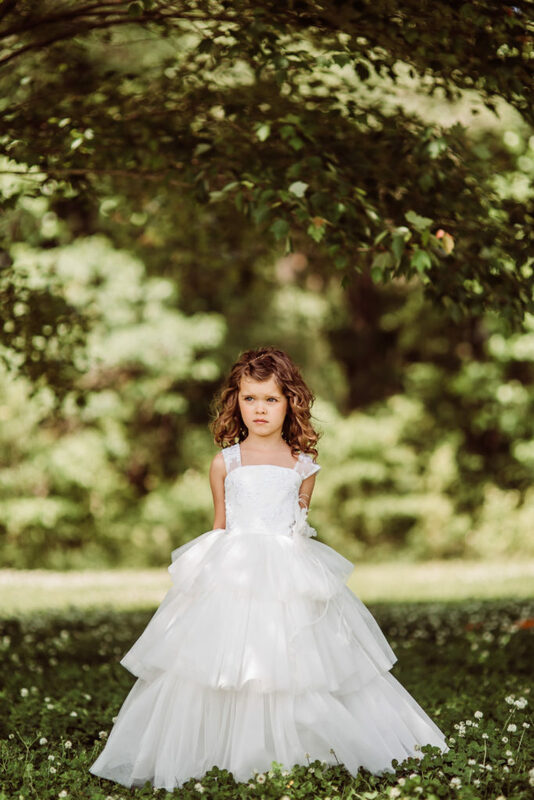 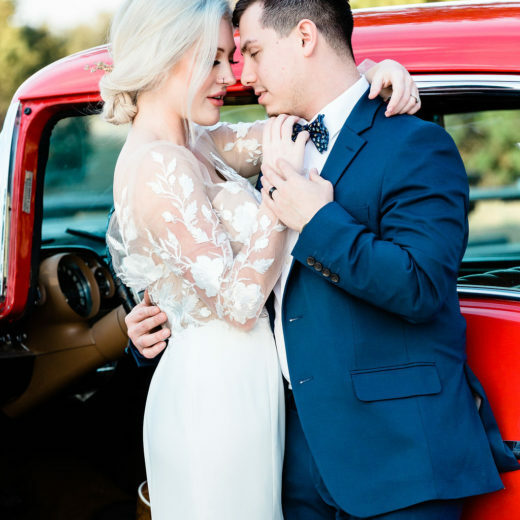 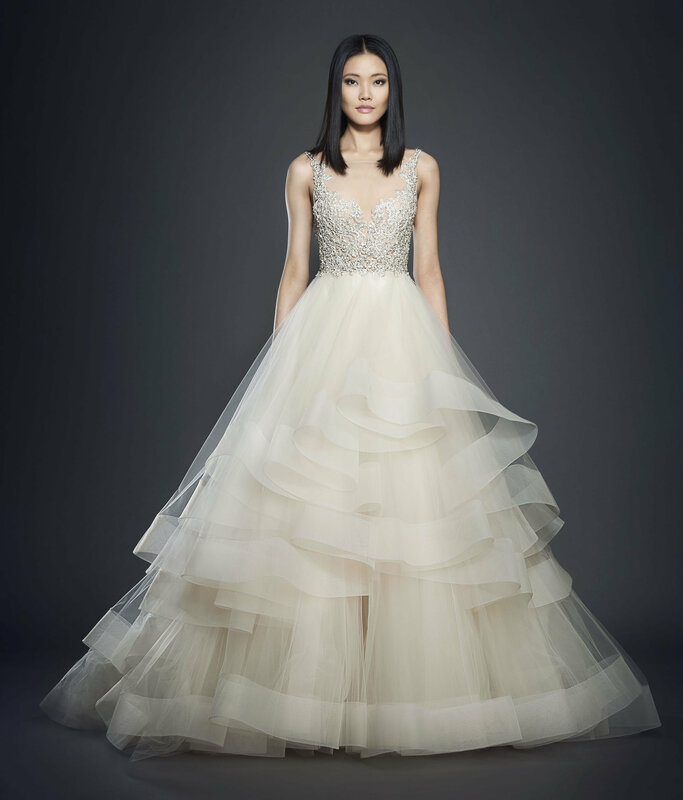 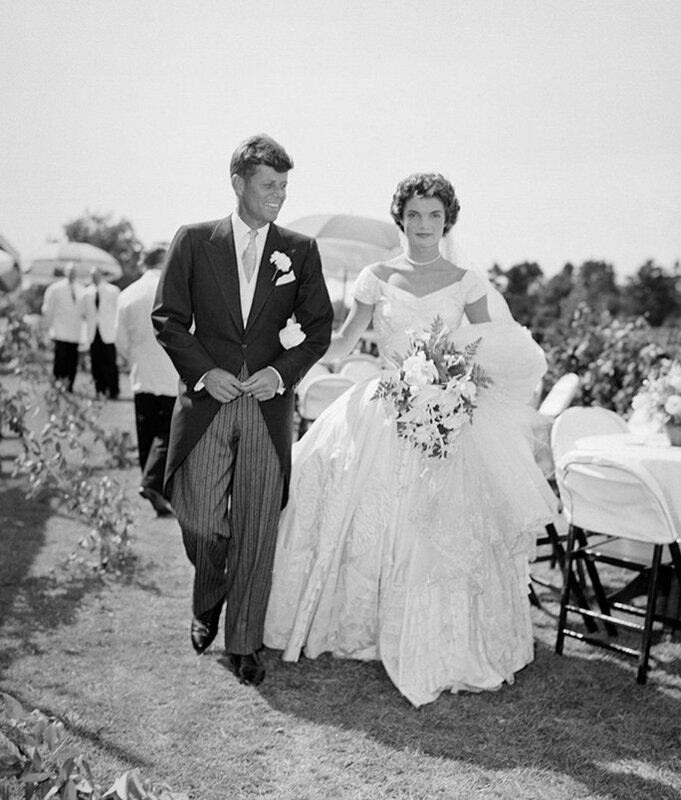 This sweet full-length gown features a sequin bodice with heart cut-out back. 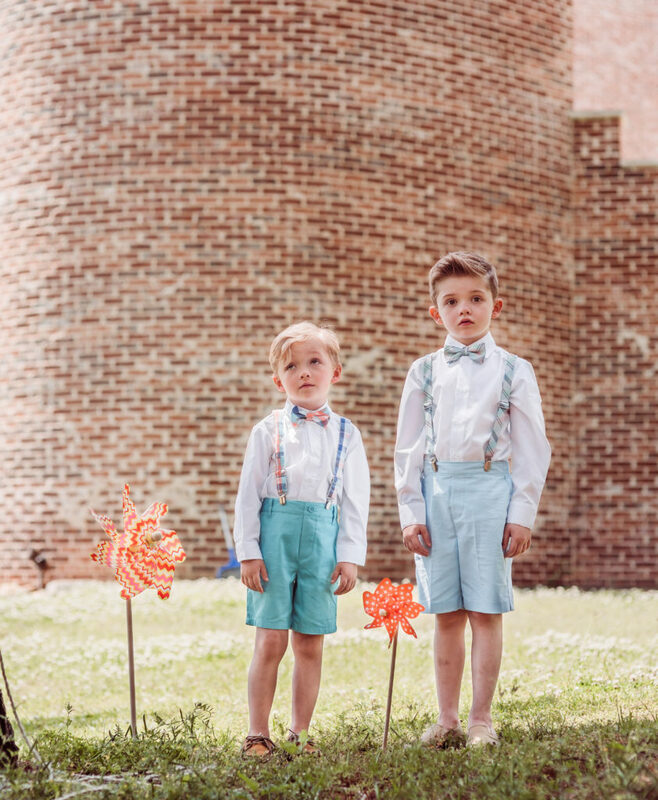 The boys may not be loving these adorable short sets, but we certainly do. 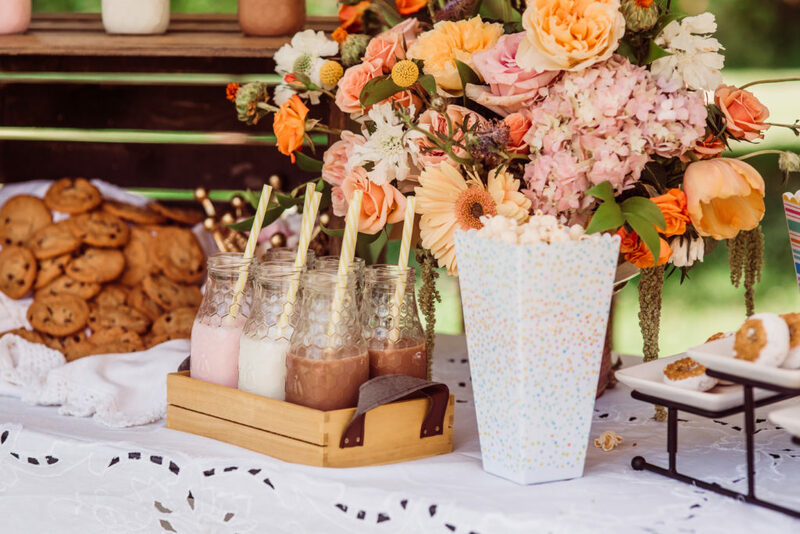 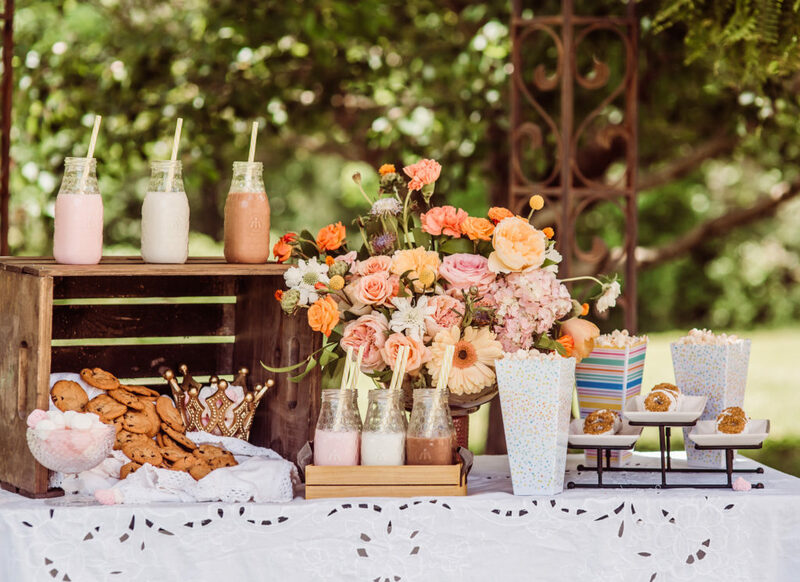 We’re loving this sweets table set with three kinds of milk, cookies, doughnuts and kettlecorn. 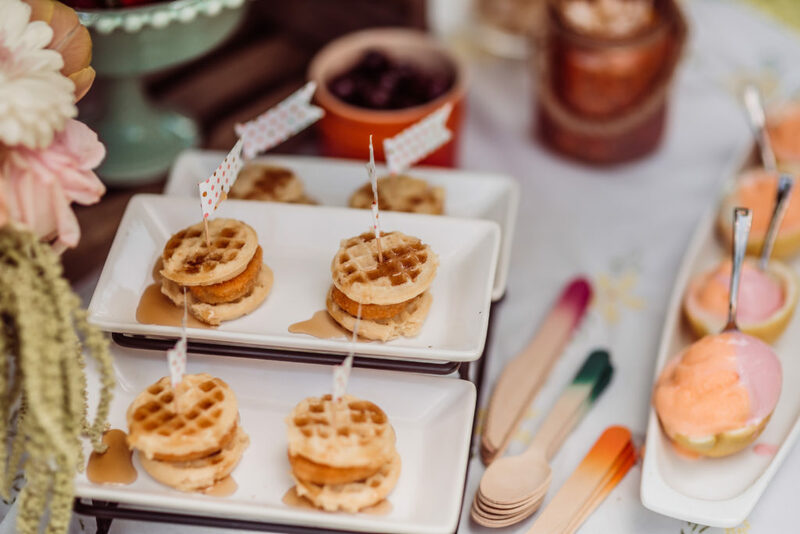 Miniature chicken and waffle towers made with mini waffles and chicken nuggets are perfect for little bites. 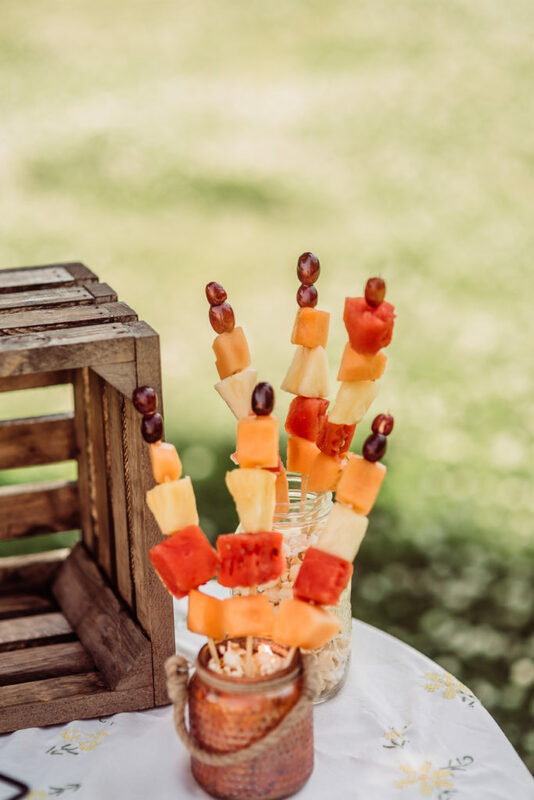 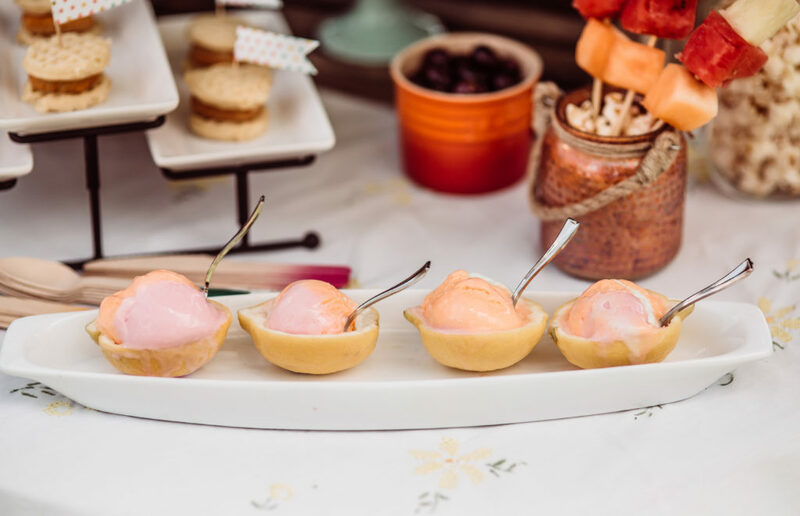 Fruit swords for the bravest of knights and sherbet served in empty lemon halves.